Another school year is just around the corner and soon the students will be back to their daily grind. It’s a new start for everyone and there’s a lot to look forward to this school year: new classmates, new teachers, new faces, new books, new subjects and many more. And because school cafeteria food may not always be healthy, most moms prefer to prepare home cooked baon for their kids. Towards this end, Philips, the world’s no. 1 home cooking and food preparation appliance brand according to Euromonitor International, offers a line of helpful kitchen appliances. “With these tools, both mother and child can definitely breeze through the back-to-school jitters with flying colors,” promises RJ. Nowadays, mothers have to consider the taste of the food as much as its nutritional value. Philips Airfryer for instance, can cook delicious fried food with 80% less fat. It has a unique Rapid Air Technology that enables home chefs to fry with air to make food, which is crunchy on the outside and tender on the inside. For healthy fruit drinks, salads, dressing or vegetable dishes, mothers can use the Philips Avance Collection Blender. This kitchen tool can handle just about anything from fruits and vegetables to ice. Its multi-speed function will help moms blend, crush and cut for perfectly smooth blending and any consistency they want, says Reah Ronsayro, Business Development Manager for Kitchen and Domestic Appliances. The Philips Avance Collection Juicer can help mommies make healthy drinks for the little ones, as well. This product, Ronsayro explains, extracts more juice from fruit and vegetables with an innovative quick clean sieve and has an integrated pulp container that allows the consumer to clean the products easier. Preparing for back-to-school meals begins at home, with breakfast. As the old adage goes, it is the most important meal of the day. For children, fiber is quite important in the morning as it aids digestions and helps relieve and prevent constipation. In line with this, the Viva Collection Toaster is yet another kitchen partner that can help mothers prepare bread for the morning meals of their kids. 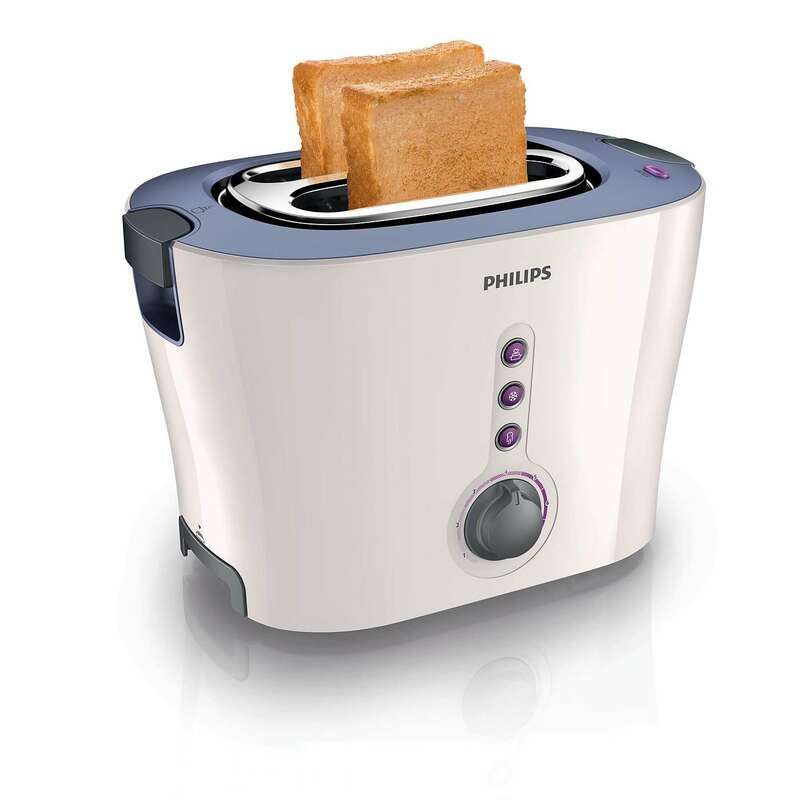 With its wide deep slots and self-centering feature, this toaster ensures evenly golden brown toast on thick or thin slices. It also features an integrated bun warming rack, slide out crumb tray and one-touch reheat and defrost buttons, describes Reah. For older children whose classes are longer and extend through lunch hours, there’s the Philips Rice Cooker, which comes with automatic cooking functions that better preserve the freshness and nutrients in rice. It can serve up to 10 cups. Finally, there’s the Philips Induction Cooker, which shortens cooking time and makes preparing baon more convenient for moms who don’t have a lot of time. The kitchen tool comes with a variety of cooking functionalities such as an automatic temperature control, timer, sensor touch surface, and several cooking presets that make cooking a breeze. Indeed, mommies need not go crazy over the back-to-school preparations for their little ones. They just need to find the right partners that would enable them to do their preparations in a smarter way. For more information about Philips products, visit www.philips.com.ph or check out https://www.facebook.com/PhilipsPhilippines or https://www.facebook.com/Philips-Home-Living-Philippines/. You may also call Philips customer hotline at (632) 6679000 if you are within Metro Manila or 1-800-10-7445477 if you are outside Metro Manila. Preparing lunch meals for school going kids can be hard and also take up a lot of time. Using Philip’s kitchen appliances definitely helps moms save time and energy. That's true. We as mothers do not want to compromise on the health of our family and taste of food. But these new electric devices have made it easier. Preparing lunch meals for school going kids can be hard and also take up a lot of time. Using Philip’s kitchen appliances definitely helps moms save time and energy. My team of academized really likes your work.